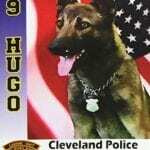 We invite your donations to help the CPD’s K-9 Program! K-9 Roko, along with PO Robert Taylor, are trained in agility, tracking, and handler protection. 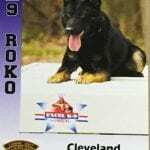 Roko also comes from Europe. 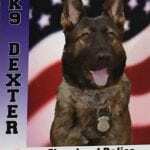 K-9 Dexter is also a dual-purpose police service dog. 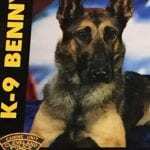 Trained in narcotics detection and patrol areas of obedience, tracking, and evidence searching. PO Reggie Beddard and Dexter completed their training in 2013.